Grita is a traditional ayurvedic dosage form. Ghee (clarified butter) infused with herbs. For classic ayurveda gritas we use organic ghee only. Shatavari ghee is for either internal or external use. Shatavari belongs to the asparagus family. Ayurveda uses the root as it is a highly effective substance, balanced particularly for women´s requirements. Shatavari translates as "the one who has husbands by the hundred". 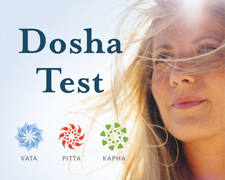 Shatavari reduces both the vata and pitta doshas and increases the kapha dosha.